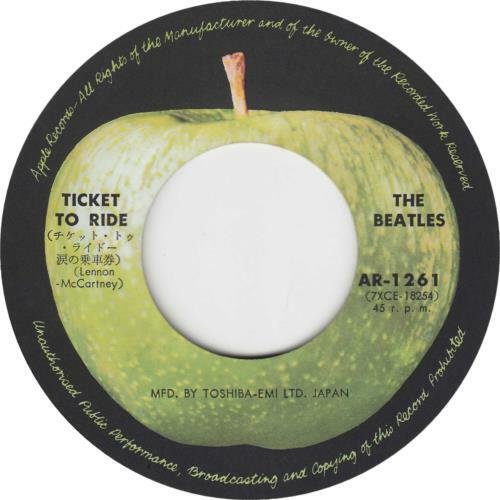 THE BEATLES Ticket To Ride (Circa 1974 Japanese 7" vinyl single on the Apple label with 'MFD. 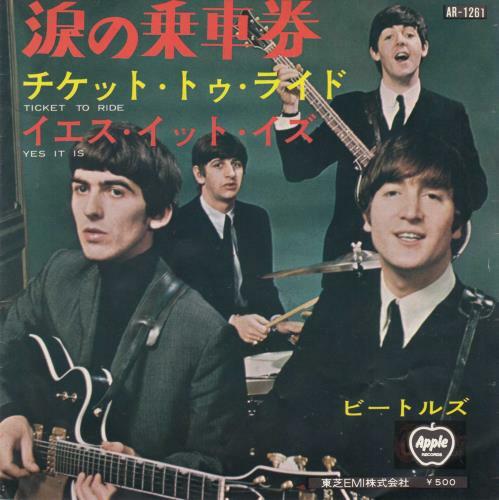 BY TOSHIBA-EMI LTD. JAPAN' label credit all on a single line of text, also including Yes It Is, wrap-around picture insert with 'EMI' and '�500' price point on the front, the Apple logo has also been placed over the Odeon logo which is still slightly visable below, printed with lyrics on the inside. The insert displays only light wear and the vinyl shows little signs of play AR-1261).